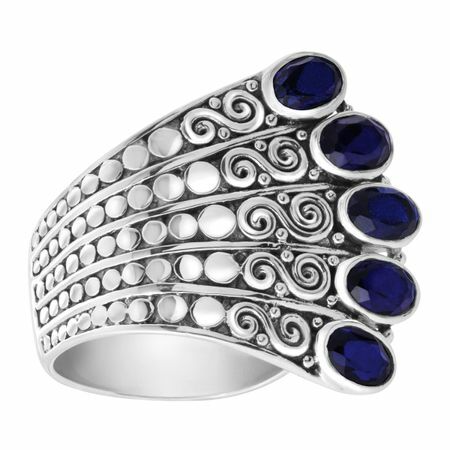 Add a boho-chic element to your ring collection with this truly unique Sajen piece. The intricately designed sterling silver ring features fanning oval-cut natural midnight quartz in a wrap-around design. Ring face measures 1 by 1 inches.